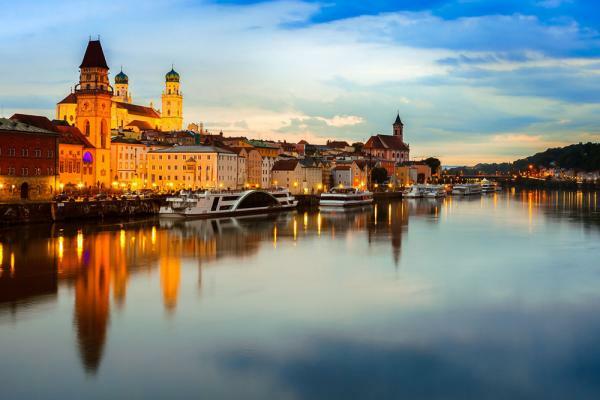 On this 8-day cruise from Vilshofen to Budapest experience the timeless beauty and fascinating history of four European countries. Begin your journey with a 3 nights stay in Prague, and then enjoy an extensive lineup of included tours such as excursions, bike tours, hikes, and Limited Edition tours. Explore a 2,000-year-old city, wander along the banks of the Vltava River, enjoy a wine tasting at a local winery, and experience the timeless beauty and fascinating history of Vienna and Budapest. Arrive in Prague and check-in to your hotel. The balance of the day is free to start exploring this beautiful city. Discover fairytale Prague via a city tour or a hike. Both reveal why Prague is considered one of Europe’s most attractive cities, with a historic city center that’s recognized as a UNESCO World Heritage Site. 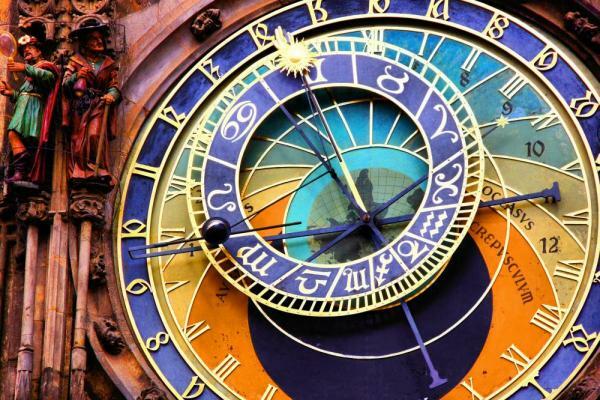 See all the key highlights, including the National Museum, Wenceslas Square, the 1,000-year-old Prague Castle, and Old Market Square, home to the Astronomical Clock. Spend a day at leisure. Wander through the city admiring its diversity of architectural styles: Gothic, Renaissance, Baroque, Rococo and Art Nouveau. Meander through its colorful local markets or simply relax in a café to enjoy the many famous Czech beers. Check out of your hotel and depart Prague, stopping in Regensburg for a guided walking tour of one of Germany’s best preserved medieval cities. Continue on to Vilshofen to board your cruise ship. Later in the day, attend an exclusive Oktoberfest celebration with traditional beer and Bavarian folk music and dancing. Depart Prague this morning and stop in Regensburg for a guided walking tour of one of Germany’s best-preserved medieval cities, a UNESCO World Heritage Site. After lunch on your own, continue on to the charming 1,200-year-old Bavarian town of Vilshofen and board your luxurious ship. Meet your fellow passengers at an evening Welcome Aboard Wine Toast. The evening has a special treat in store: an Oktoberfest presented by the town of Vilshofen. Bavarian folk music, songs, and dances set a lively scene as you gather at long tables to sample Vilshofen’s distinctive local beer. The Mayor and Beer Queen is on hand to greet you and wish you a successful journey along the Danube. Explore Vilshofen’s beautiful old town before cruising to Passau, known as the “City of Three Rivers." Join a walking tour or if you prefer to be more active, hike high into the hills for a visit to the “Veste Oberhaus,” Passau’s Castle Hill. This morning you are free to explore Vilshofen’s beautiful old town before cruising to Passau. 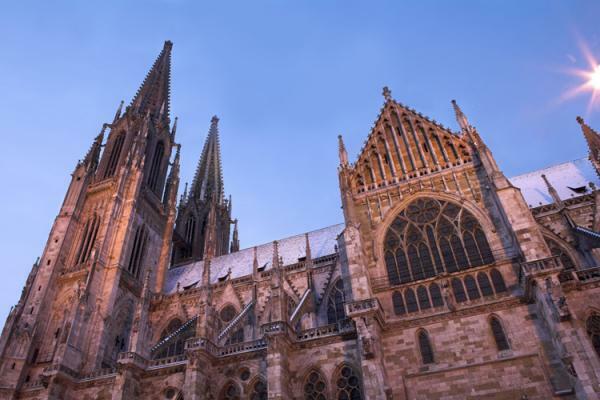 This afternoon enjoy a walking tour of this 2,000-year-old city, noted for its Gothic and Italian Baroque architecture, cobblestone streets, and St. Stephen’s Cathedral. Guests looking for a more active afternoon may join a guided hike up to the Veste Oberhaus fortress overlooking Passau. Prior to dinner, join an onboard wine tasting. The ship arrives in Linz where you have several choices of excursions. Opt for a full-day excursion to Salzburg where you can tour the historic center, Mirabell Gardens, Residenz Square, and the Old Market. En route to Salzburg, stop at Mondsee, home of the famed Basilica St. Michael and site of the wedding scene in “The Sound of Music.” Alternatively, you can join a morning walking tour through Linz's old city center and by the Mozart House; or go on a guided bike tour along the city’s famed “Culture Mile” and the Danube. During the afternoon, you have three more options of excursions. Choose a half-day in Salzburg or take a scenic drive through the beautiful Austrian Lake District with a stop in St. Wolfgang. You can also choose to visit the charming mountain town, Český Krumlov, located just over the Czech-Austrian border. Cruise to Weissenkirchen, gateway to Dürnstein located in the heart of the Wachau Valley. Once here, you can choose to join a walking tour in Dürnstein along its cobblestone streets to the Baroque Stiftskirche, Dürnstein’s famed church tower, and then visit Melk’s magnificent Benedictine Abbey. For the more active adventurer, hike up to the fortress where Richard the Lionheart was once held. As an alternative excursion, visit a local apricot grower, where you can enjoy the region's finest apricot treats. Later in the evening, enjoy a special wine tasting of locally grown, world-renowned Riesling and Grüner Veltliner in Weissenkirchen. Cruise through the narrow Strudengau this morning en route to Weissenkirchen. 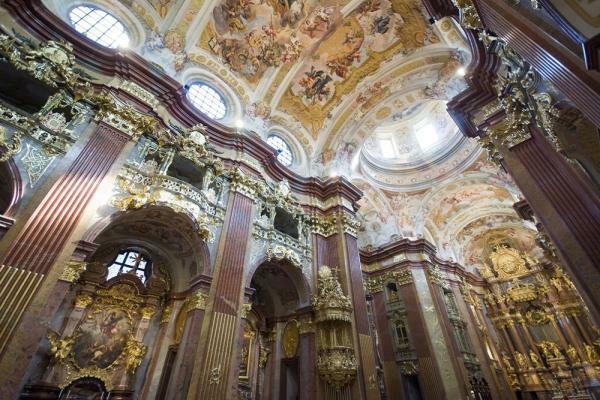 A guided tour takes you through Melk’s magnificent Benedictine Abbey, one of Europe’s largest and most famous monastic sites, home to religious relics and a library filled with medieval manuscripts. Your Abbey tour is followed by a visit to a local vineyard near Dürnstein for an introduction to the famous wines of the Wachau. Journey to Melk to tour its magnificent Benedictine Abbey, a UNESCO World Heritage Site. Overlooking the Danube River, Melk Abbey is one of Europe’s largest and most revered monasteries with stunning Baroque architectural details and numerous frescoes and religious artifacts. Alternatively, take a bike tour along the Danube River, soaking in views of the serene Wachau Valley. Later in the evening, be treated to a special cellar tour and wine tasting of locally grown, world-renowned Riesling and Grüner Veltliner at the acclaimed Schloss Gobelsburg, which has a documented viticulture history dating back to the 12th century. Host to the crowning ceremonies of 11 Hungarian kings and queens between 1536 and 1830, Bratislava certainly has earned the title “Coronation City of Kings” as you discover during your walking tour. 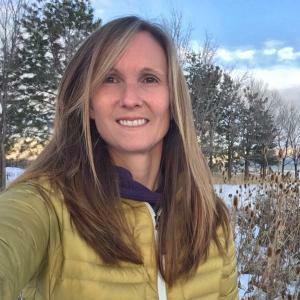 Or join a culinary host to sample traditional Slovakian specialties, as well as learn how to prepare stuffed potato ravioli with an opportunity to taste your own creation. 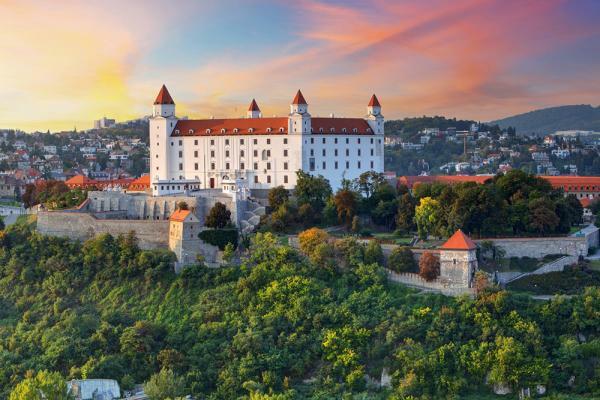 For a more active adventure, hike up to Bratislava Castle, offering magnificent views of the city. 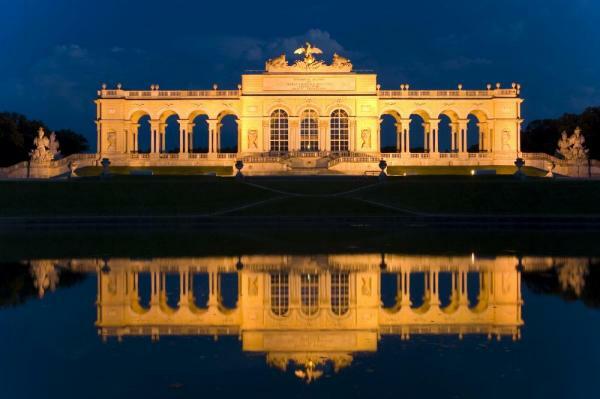 This morning, savor the Baroque elegance of romantic Vienna through your choice of one of three different excursions. The first option is a panoramic tour of Vienna that guides you past the majestic Opera House, the former Imperial Palace of the Habsburg Emperors, Parliament, Town Hall, and Vienna University. 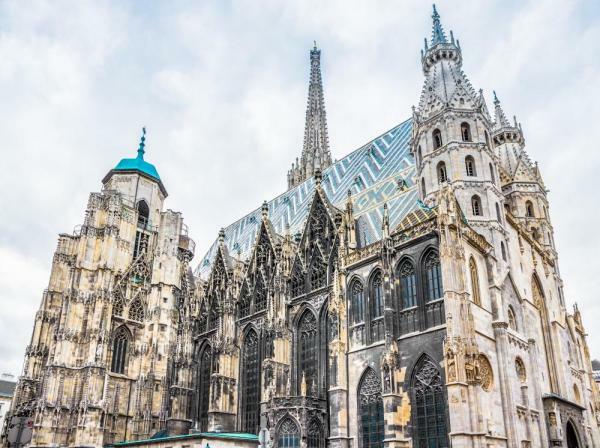 Afterwards, visit Vienna’s historic city center, a UNESCO World Heritage Site, and see St. Stephen’s Cathedral, Graben, and the world-famous Spanish Riding School. The second option is a walking tour of Vienna’s hidden treasures that takes you to secret places and sights like Ankeruhr, a whimsical Art Nouveau clock. Your third option is a guided bike tour along the Danube and through the Donaupark. After dinner, join an excursion to a charming Viennese wine tavern to listen to folk music and sample newly pressed local wine. 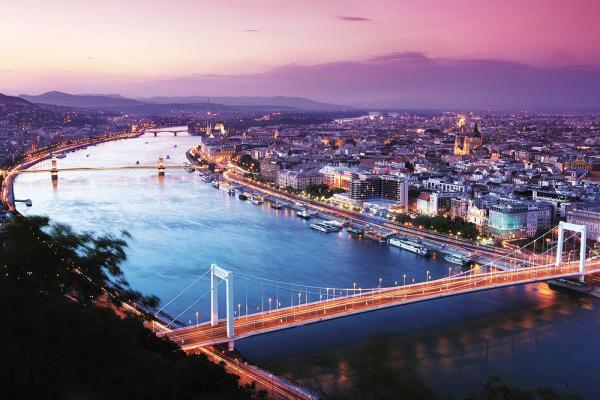 Experience Budapest in one of two ways: on a city tour or a hike. Your city tour begins with a visit to the vibrant Great Market Hall brimming with vendors selling everything from food to souvenirs. The remainder of this tour takes you to both the Buda (hilly) and Pest (flat) sides of the river. As an alternative choice, hike up to Castle Hill for breathtaking views of the city below. Spend your last evening on board cruising around the famed Parliament Building as the city turns on all her dazzling lights. Your cruise comes to an end as you prepare for your homeward flight. The AmaLea debuts in 2018 and features the most advanced design of any river cruise vessel currently in operation. With a guest capacity of up to 158 passengers, guests can enjoy the luxury of space while passing by centuries-old castles, charming villages, and breathtaking scenery. 160 square feet. 4 cabins on Piano Deck, fixed windows. 160 square feet. 8 cabins on Piano Deck, fixed windows. 155 square feet. 4 cabins on Violin Deck, French balcony. 170 square feet. 14 cabins on Violin and Cello Deck, French balcony. 210 square feet. 15 cabins on Cello Deck, French balcony and outside balcony. 210 square feet. 12 cabins on Violin Deck, French balcony and outside balcony. 235 square feet. 10 cabins on Cello Deck, French balcony and outside balcony. 235 square feet. 8 cabins on Violin Deck, French balcony and outside balcony. 350 square feet. 4 cabins on Violin Deck, French balcony and outside balcony, mini-bar, sofa and two chairs, expansive bathroom with bathtub and separate shower. - Wellness Program with a dedicated Wellness Host leading various exercise classes as well as discussions on healthy eating and relaxation techniques, both on board and on shore. Everything was amazing! The planning with Adventure Life went smoothly. The actual trip was fantastic! One of the best trips I have experienced. The cruise staff members were knowledgeable and attentive. I will be writing more about this on the blog!